Today is a sad day. On Friday I listened most of the day to WXRT playing David Bowie’s new album, Blackstar, released on his 69th birthday. Today I was thinking about getting up when the radio went on with the news that the Thin White Duke died last night. I was stunned. My headline was “David Bowie Is” Is Fabulous. My full review of the exhibit appeared in Gapers Block. What I didn’t mention is a key point about Bowie’s persona that is getting a lot of attention today (at least among those I hang around with on social media). He was a man of shifting identities and personas who made it possible for young people to recognize and come to terms with their roles as outsiders, others, maybe even freaks. My friend June Skinner Sawyers wrote a lovely poem this morning and we’ve posted it on Third Coast Review, the new Chicago arts and culture website, as our homage to Bowie. You can read it here. December is always a busy month but this one is busier than usual for me because I’m working on an exciting new venture. I’ll tell you about it in a few weeks. For now, I want to give you my theater and movie favorites for the month. This 1923 Noel Coward play is smart and funny, very funny, and slickly staged on Remy Bumppo’s space on the second floor at the Greenhouse Theater Center. The play and performance are delightful, partly because Coward does an interesting gender switch, unusual for the 1920s, with three outstanding female roles. My Gapers Block review tells all about it. Angels runs until January 10. Every Chicagoan knows the story of the thrill murder of young Bobby Franks by two University of Chicago students, Richard Leopold and Nathan Loeb. Victory Gardens retells the crime, its aftermath and the Leopold-Loeb trial in John Logan’s 1986 script, written while he was a Northwestern University student. (Logan is known for his scripts for Hauptmann and Red, but has since become more famous as a screenwriter.) The two actors who play the criminals give excellent performances and veteran Chicago actor Keith Kupferer plays their attorney, Clarence Darrow, who saved them from execution. Never the Sinner closed this week. Here’s my review. I liked last year’s Iphigenia in Aulis at Court Theatre, but this year’s segment in the trilogy is a little flat and disappointing. The rhythm and performances in general are not as riveting. The actors performing as the chorus, however, are excellent, but they take up too much stage time and detract from the central plot. Agamemnon has now closed. Chi-Raq is Spike Lee’s Greek satire (his adaptation of Aristophanes’ Lysistrata) designed to send a strong message about Chicago’s gun culture and gang warfare. It succeeds in dramatizing the Chicago murder crisis — more dead bodies than the deaths of special forces in Iraq. I found the two-hour film hugely entertaining, funny and wise — but messy and incoherent. It’s wildly uneven. I loved the Greek references and the dialogue in rhyming couplets. Although I liked it and will see it again, I could only gave it three stars out of five on my Letterboxd review. Chi-Raq has received some good and bad reviews, but see if for yourself. Unless you can’t handle vulgarity. Here’s the famous trailer. Phoenix is a 98-minute film released in 2014 by German director Christian Petzold, starring Nina Hoss (the same pair responsible for the outstanding film Barbara). In Phoenix, Hoss stars as a woman disfigured in a Nazi concentration camp; she undergoes plastic surgery but looks quite different than her original self. When she finds her husband, he doesn’t recognize her but decides she looks enough like his dead wife that she can help him carry out a fraud scheme. The Kurt Weill song, “Speak Low,” is used hauntingly throughout the film and provides a stunningly perfect surprise ending. Phoenix is streaming on many services. Inside Out, a Pixar film, is said to be suitable for children and it’s certainly not unsuitable, but it is very much a nuanced film that adults will like too. The story, briefly, is about Riley, an 11-year-old girl whose parents move from Minnesota to San Francisco. Riley’s head and heart suffer from all the pangs and pains you can think of, missing her friends, her old house and her hockey team. The emotions that fight it out are embodied as Joy, Fear, Anger, Sadness and Disgust and are voiced by a fine set of actors. My little grandsons were mesmerized by this 100-minute film (of course, they will watch anything on a screen, as their mother says) but my son and I thought everything but the basic story probably slipped by them. Still, it’s a good family film with beautiful animation. Suffragette, a film about the fight for women’s voting rights in early 20th century England, was rather a disappointment. Too much attention paid to the individual angst suffered by the Carrie Mulligan character and others; not enough devoted to the suffrage question. (Or maybe I wanted to see a documentary.) Mulligan’s performance is good and Helena Bonham Carter is excellent as the chemist-activist. Meryl Streep does a cameo as Emmeline Pankhurst, overshadowed by her huge hat. 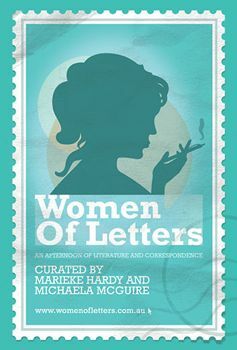 Women of Letters started as an Australian literary salon focused on celebrating the lost art of letter-writing. This is their second US tour and first appearance in Chicago. The large and enthusiastic audience at the Mayne Stage should ensure a return visit in 2014. One of the guidelines for Women of Letters is that events are not recorded, so that participants can feel free to write about very personal subjects. Therefore, even though I took notes, I won’t use any quotations. But I will tell you a little about the letter-writers and the event. The moderator was Marieke Hardy, an Australian writer and co-curator of Women of Letters. She introduced each writer and later conducted a Q&A with the panel on letter-writing. The letters verged on storytelling; they often had a confessional nature. They were in turn funny, poignant, sad—and always moving. One of the performers wrote about her disastrously disorganized life, while another wrote about disappearing into the dark as a high school drama prop master, and another speculated that people treat each other horribly because they fear scarcity. The readings lasted from a few minutes to more than 10 minutes each. Tavi Gevinson, a teenaged celebrity who will celebrate her 18th birthday next month, has achieved renown for her blog, which focuses on issues affecting teenage girls and is written mainly by teenage girls. She has appeared on TV, acted in short films and had a role in the 2013 Nicole Holofcener film, Enough Said, starring Julia Louis-Dreyfus and the late James Gandolfini. After the readings, Hardy asked each performer to talk about how letters may have been important in her life. They also discussed how the WOL letter-writing process had worked for them. Audience members had a chance to ask questions of the performers. Each audience member received a stamped WOL postcard and a stamped “aerogramme” to encourage us to do our part in restoring the art of letter-writing. Women of Letters started with events in Melbourne, co-curated by writer/journalists Hardy and Michaela McGuire. Monthly events brought together five of Melbourne’s “best and brightest writers, musicians, politicians and comedians.” For each event, the participants were asked (in advance) to write a letter on a specific topic. The series has been so successful in Australia that three books of letters have been published as a result. Women of Letters raises funds for the animal rescue shelter, Edgar’s Mission, a sanctuary for rescued farmed animals set on 60 peaceable acres in the foothills of the Great Dividing Range at Willowmavin, Kilmore, in the state of Victoria, Australia. The letter topics make me think about the letter I might write. I’d love to know what you would write about …. If you’d like to receive an email when I post a new article on nancybishopsjournal.com, just put in your email address on the upper right side of this page. I promise no spam and you don’t need a password! Short stories have always been the stepchildren of the fiction family. Why is that? 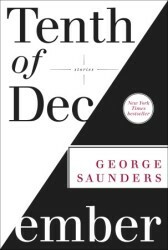 To me, the short story is the perfect form of reading for today’s digital, short-attention-span culture. So it should get more respect. But that’s not the best reason to appreciate short stories. A good short story is gripping and insightful about a character, a place or a moment in time. A short story collection is perfect for commuter reading, before-you-go-to-sleep reading, or lazy Sunday afternoon reading. My book group gave up on Henry James’ The Ambassadors (400 pages on my Kindle). We revolted en masse about finishing it. But most of us finished and enjoyed Hilary Mantel’s Wolf Hall (~650 pages). So I don’t think that means we are 21st century Philistines. The Mantel book is fascinating, if dense, historical fiction; with a lot of events transpiring and a lot of people named Thomas. The Ambassadors, on the other hand, is a drawing room drama that languishes. However, among the last few books we’ve read and liked are several in the short fiction genre. I’m going to talk about those and a few of my other favorite short story writers. None of these authors are really traditional fiction writers. But I recommend any or all of them if you want to dip into contemporary short fiction. Junot Diaz’ This Is How You Lose Her (2012). Diaz also has celebrity status as a writer; he’s a 2012 MacArthur Fellow and his 2008 novel The Brief Wondrous Life of Oscar Wao won the Pulitzer Prize for Fiction. His new book is a series of loosely linked stories about love and trying to make it work, involving the immigrant experiences of Dominican-Americans. His writing is a blend of Spanglish and streetwise slang and becomes more formal in the stories about his older characters. The stories have a strong autobiographical feel, although Diaz does not describe them that way. My favorite is “Invierno,” the story of a Dominican family’s arrival in their new New Jersey home in the middle of a snowstorm. The two brothers Rafa and Yunior yearn to be outside and play with the gringo kids, but their father does his best to keep them inside. Jennifer Egan’s A Visit From the Goon Squad (2010). This book of short fiction is a series of interlocking stories that stand alone or read novelistically. The leading characters are Bennie, a former punk rocker turned record executive, and Sasha, the young woman he employs, who goes through several incarnations and ends up living with husband and two children in the California desert. One story, by the way, is a PowerPoint presentation on “Great Rock and Roll Pauses” by Sasha’s daughter. The stories play out over a period of 50 years or more, with characters evolving and linking back and forth. The last story ends in a mass musical event on the site known as the Footprint, where the World Trade Centers once stood. This is a really creative work of short fiction. Stuart Dybek’s The Coast of Chicago (1990), I Sailed With Magellan (2003), and Childhood and Other Neighborhoods (1980). Dybek is my favorite short story writer and one of my favorite writers. The Coast of Chicago was the 2004 selection for One Book, One Chicago. His writing, his characters, his geography are so quintessentially Chicago that his books would make me homesick if I didn’t live here. He also has two wonderful books of Chicago poems: Streets in Their Own Ink (2004) and Brass Knuckles (1979). I’m going to devote a whole essay to Dybek in the near future, so I will save my commentary for that. T. Coraghessan Boyle’s Greasy Lake & Other Stories (1985), and Wild Child and Other Stories (2010). T.C. Boyle is a witty and imaginative writer. His stories are rarely realistic but always fascinating. 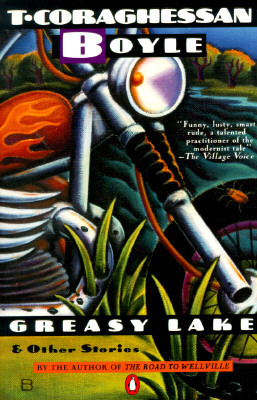 I guess I should confess that I picked up Greasy Lake in a bookstore because of the title — it’s the name of a fictional place in a Bruce Springsteen song, “Spirit in the Night,” from his first album Greetings from Asbury Park (1972). Boyle’s characters include an Elvis impersonator, a presidential staffer who facilitates Ike’s steamy affair with Nina Khrushchev (I said this was fiction, didn’t I? ), and a blues musician who may be Robert Johnson. And that’s just in Greasy Lake & Other Stories. Wild Child includes many stories published in literary magazines and “Best of” compilations. His writing is colorful and often poetic. Boyle’s stories are so delicious that looking them over for this post made me want to read them all over again. The Best in Rock Fiction (2005), edited by June Skinner Sawyers, introduction by Anthony DeCurtis. This is a book of short stories and excerpts from longer works by writers who have a rock and roll sensibility, as Sawyers says in her preface. “I want to capture the way rock sounds on the page, its unpredictability, the possibility that anything could happen,” she says. Some of the writers whose work is included are Nick Hornby, Don DeLillo, T.C. Boyle, Stephen King and Jonathan Lethem. Some of my favorites from this book are “White Noise” by DeLillo, an excerpt from “Eddie and the Cruisers” by P.F. Kluge, and an excerpt from Hornby’s book High Fidelity. “The Girl Who Sang With the Beatles” by Robert Hemenway is a wistful 1960s story about Cynthia, who is mesmerized by the Beatles’ music, and her husband, Larry, who prefers foreign movies and chamber music. For a while, they each listen to their own music on separate stereo headphones but at the end, Larry enters into her Beatles world. I should acknowledge that June is a Chicago writer and a personal friend. See more about her work here http://www.illinoisauthors.org/authors/June_Sawyers. Do you agree? Join me in becoming a short story fan. Some years ago I was dating a charming gentleman who sealed his fate with me by insisting he could only live in the suburbs and assuming I would want to do the same. He had a beautiful house and had already planned that I would love it too. The relationship didn’t last long but I wrote this bit of doggerel at the time. It’s either a poem or a song, if someone will just compose some music to go with it. Don’t carry me off to the suburbs. I’m an urban woman now. City limits are my boundaries. Shopping malls give me agoraphobia. Trees belong in the park and animals in the zoo. I want my grass measured by the square inch. I gave up flea markets, farmstands, freeways forever. Taxis and sidewalks and theatres in old storefronts. By an émigré Hungarian painter. Don‘t drag me to the suburbs, please. Don’t tempt me with discount centers, flea markets and flower gardens. Don’t lead me astray on the freeway of love. And never again find my way back to grit, crime and all night joints. I don’t want to be stuck in the suburbs forever. I confess that in the past I carried a marker so I could edit the signs in my local supermarket. Potatos got an e; green bean’s got an apostro-ectomy. Typos still make my teeth hurt, but technology has stymied my shopper editing. Now I have to send helpful texts or emails to serious offenders, while trying to do it with good humor or at least some grace.